Back to league football and thank goodness, I can't stand waiting for City to play. We have a tough trip to play a Wigan side that beat Chelsea in their last home game, by the same token they got beat by Hull in their last game so it is hard to know what to expect. I am not 100% sure how this game will go against Wigan, we should beat them but as we know the prem is a very high standard now and it is hard to say that without feeling cocky and disrespectful, which is not what I am trying to do. I quite like to see Wigan win if I am honest, they are a northern club who have worked hard to get where they are today, obviously when playing City I hope they get battered! I am going to say that we will win comfortably, we might have a few key players out but if that is the case, I think our strength in depth should shine through in what will be a tough test. I don't see anyone in Wigan's team who I can say 'yeah he could cause our defence problems' I just do not think they have the quality to bother us and that isn't just up top that's throughout the whole of their team. I am looking to our midfield to make an impact on this game, I think they can be key to victory. Wigan's midfield is not as strong as ours and if we can control the middle of the pitch then I would definitely back us to win. I don't want to hang myself out to dry by saying that because although Wigan do not have great individuals in my opinion they are good as a unit, but I stand by what I said and think that City should win this game. Results didn't really go for us today, so who ever we may have been playing tomorrow it would have been important that we win. If we want to be a top team then we have to keep up with the pace setters. Robinho is closer to returning but isn't quite ready, Kolo Toure (heel) is not looking like he will make it either and Pablo Zabaleta (hamstring) is almost certain to miss out. Joleon Lescott is struggling with a calf injury and Craig Bellamy (groin) and Martin Petrov (knee) are facing a race against time to be fit. Nedum Onuoha (thigh), Vincent Kompany (toe/ankle) and Benjani Mwaruwari (thigh) are all still out injured, although Kompany might make a surprise return to the squad. No new injury news for Wigan, Roberto Martinez may have to assess tiredness, after a few of his players had long journeys during the International break. Possible Man City Line Up: Given, Vidal, Richards, Bridge, Sylvinho, De Jong, Barry, Wright-Phillips, Tevez, Bellamy, Adebayor. 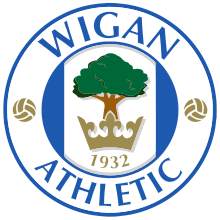 Possible Wigan Line Up: Kirkland, Melchiot, Boyce, Bramble, Figueroa, N'Zogbia, Diame, Thomas, Rodallega, Scharner, Scotland. 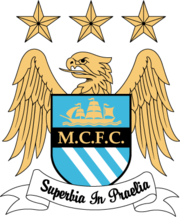 My Prediction: Wigan 0 - 3 Man City. Worth A Bet: Richards comes back into the team with a bang and scores in a 3 - 0 City win. It was a hard prediciton to make, I think maybe 2 - 0 but at the same time if we score 2 I think we will score 3.